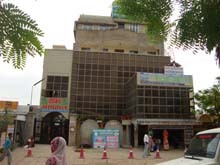 The Society has a 100 bedded multi-specialty General Hospital in the own compound with the name of “CKDR MEMORIAL HOSPITAL & RESEARCH INSTITUTE JHUNJHUNU” CKRD Memorial Hospital is an indoor provide the community with total medical and surgical treatment. It has all the department of medical science like General Medical, General Surgery, Gynecology, Pediatrics, Psychiatry, ENT, Ophthalmology, Orthopedics etc and is presently rendering services to the patients from both Rural & Urban areas. 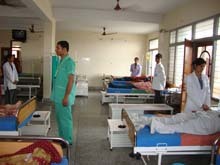 Since the location of the hospital is in Indira Nagar the Heart of JHUNJHUNU. CKRDMH Is having 50 bedded license for mentally ill patients. CKRDMH is first hospital in shekhawati having clinical Psychologist to provide Psychological treatment, Psychiatric patients having all type of counseling and Psychotherapy facilities by clinical psychologist. All type of test including intelligence test, I.Q. Test Anxiety test, depression test, aptitude test, and perception test. CKRDMH Is having all modern & well equipment A.C. Operation theatre and labour room. Round the clock emergency operation and labour facilities are available. Modern computerized lab, EEG, ECG, X-Ray, Sonography are available in our hospital. 24 hours medical store, canteen and Ambulance are also available. 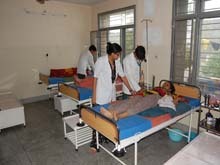 Our aim is to develop CKRDMH One of the best hospitals of Shekhawati with all modern Equipment and best specialish services with best modern techniques for diagnosis.